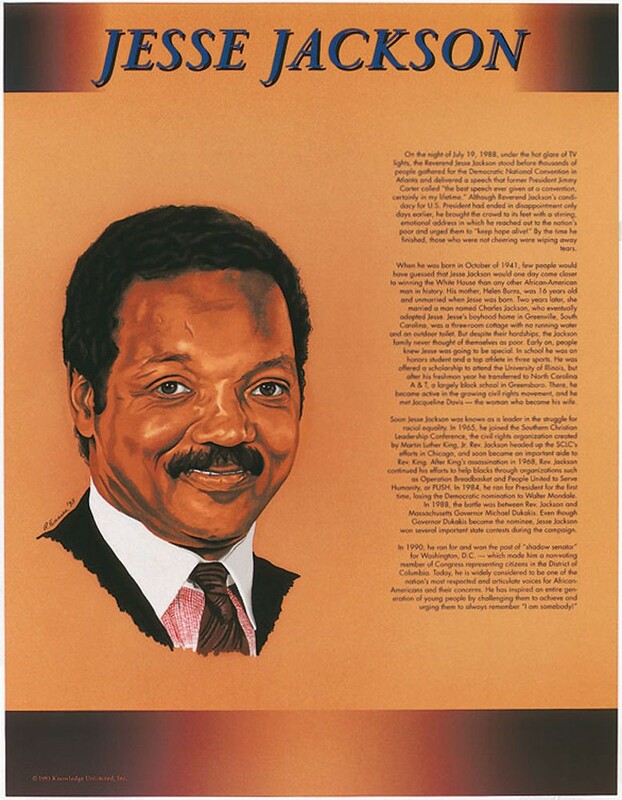 This educational poster of civil rights leader and politician Jesse Jackson features a striking artist's illustration of him, as well as biographical text detailing her life and accomplishments. 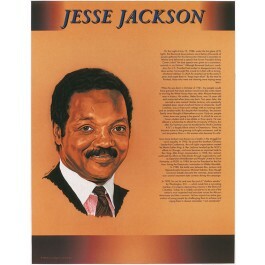 Jesse Jackson became active in the growing civil rights movement when he was a college student. After college, he joined the SCLC, the civil rights group started by Martin Luther King, Jr. He became an important aide to Dr. King and continued to work for civil rights after King's assassination. In 1984, and again in 1988, Jesse Jackson ran for the Democratic presidential nomination. Though he didn't win, he became an important, and articulate voice for equal rights for all Americans, a role he maintains today.